Childhood is the time to set lifelong patterns, and dental hygiene is one of the most important habits to teach your child. Poor or incomplete oral hygiene can lead to gum disease and eventually tooth loss. Even though your child’s baby teeth are temporary, these young teeth require all the care of adult teeth–and they are susceptible to the same maladies that adults face, including buildup of plaque and, consequently, tartar. Tartar, also called calculus, is a hard mineral substance that binds to the teeth. Tartar collects on tooth surfaces, including between teeth, as well as at or beneath the gum line. Although tartar can develop at all ages, it becomes more common as children age. Older children are more susceptible to tartar than younger children, according to the American Dental Hygienists’ Association. Adolescents aged 13 to 18 years have a prevalence rate of 74 percent, and that rate increases to 90 percent for all adults older than 18 years. Tartar begins as plaque, a sticky substance made up of bacteria, food debris and other matter that coats teeth. When not properly removed by brushing and flossing, plaque mixes with minerals naturally found in saliva and hardens to form a cement-like shell. As tartar builds on the tooth surface, it creates more surface area to which plaque may cling, aggravating the problem. Some people never develop tartar, notes Dr. Mark Mutschler, D.D.S, M.S., whereas others experience excessive tartar buildup. Tartar can only be removed by a dental professional. Brushing and flossing cannot remove tartar that is already on the teeth, says Mutschler, but it can help remove plaque and prevent additional tartar from accumulating. Dentists or dental hygienists remove tartar in a process called scaling. Scaling is performed by chipping away at the tartar with specially designed steel tools, explains Mutschler. In addition to scraping the tooth surface, your child’s dentist may also have to probe beneath her gum line to ensure all traces of tartar are removed. Tartar buildup can be unsightly. Tartar is porous and can absorb stains that give teeth a yellowish hue. A buildup of tartar can narrow the spaces between teeth, making flossing difficult and further worsening the problem. When tartar is not removed, it can lead to gum disease and eventually tooth loss. Oddly, if your child has a tartar problem, he is unlikely to have numerous cavities. The minerals in saliva that encourage tartar formation also help strengthen enamel and neutralize the acids that cause cavities. 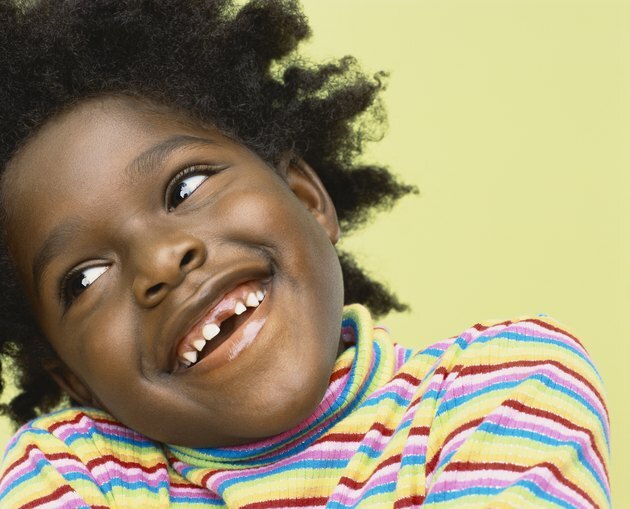 Make sure your child sees a dental professional regularly for cleanings and checkups. Colgate Oral and Dental Health Resource Center: What is Tartar?